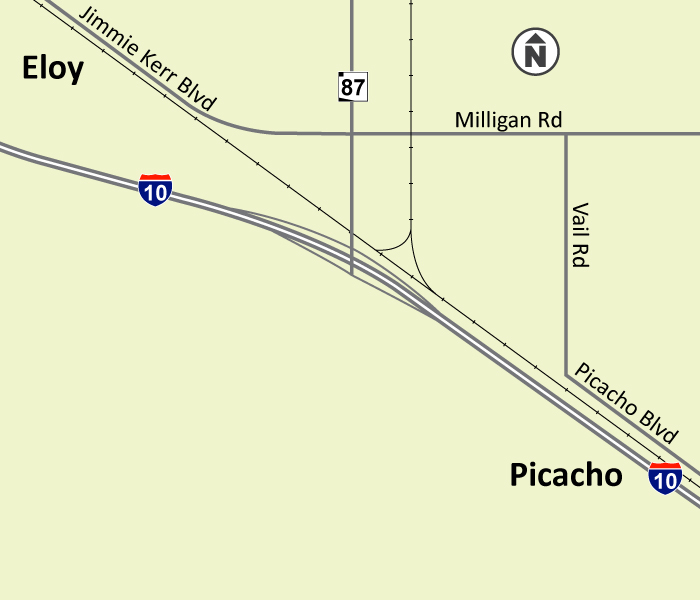 The Arizona Department of Transportation (ADOT) and the Federal Highway Administration (FHWA) have initiated a project to improve Interstate 10 through the community of Picacho, including the reconstruction of the I-10/SR 87 traffic interchange. 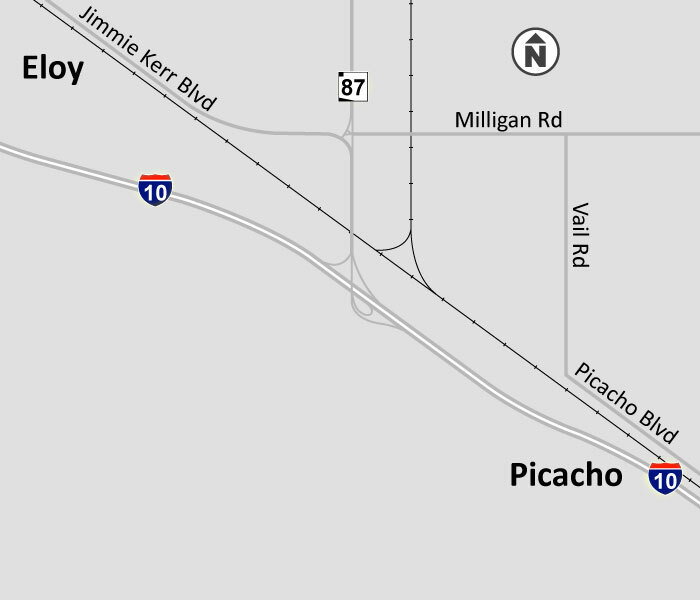 Work is scheduled to occur between milepost 209.59 (Sunshine Boulevard) and milepost 213 (east of Picacho Highway). This project will realign and widen I-10 from two lanes to three lanes in each direction and replace the bridges at the SR 87 traffic interchange underpass and over the Union Pacific Railroad on SR 87. This project will be constructed in conjunction with the I-10 Safety Improvements: Sunshine Boulevard to Picacho Peak Road Dust Detection and Warning System (azdot.gov/DustWarning).